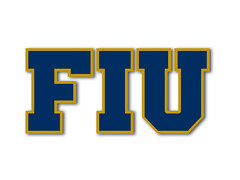 Yet another national ranking on specific fields where FIU has an outstanding reputation and results, which ranks Nursing graduate schools in the nation. After ranking #256 just four years agon, FIU has jumped now to #54 in the nation according to the latest US News ranking of graduate schools. 3 C-USA schools made the Top 100 with UAB coming in at #13, and FAU coming in at #72. In the state, USF came in at #38, UF at #48, FIU #54, UM #61, FAU #72, and UCF #83 among the Top 100.